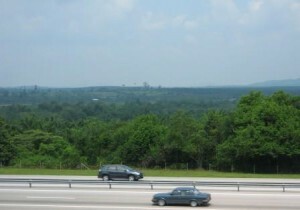 The PLUS North South highway connects Perlis (Malaysia-Thai border) all the way down south in Johor (Malaysia- Singapore border). Generally if you are taking the express buses from one town to the other, they generally stop at the PLUS rest stations. But there are still some companies that turn into smaller towns to stop at some old rest stops like in Tanjung Malim. PLUS express buses and Transnational will always stop at rest areas by the highway for meals. No doubt, the food at the highways are nothing to shout about and may be just a bit more expensive than in a normal coffee shop but the food is hygenic. Stalls at rest areas, especially the R&R operate 24 hours a day. 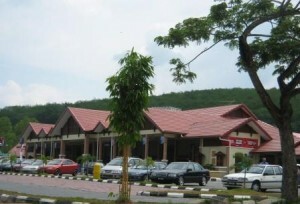 The above is the Bkt Gantang rest area located up North- I stopped here on my way to Penang. 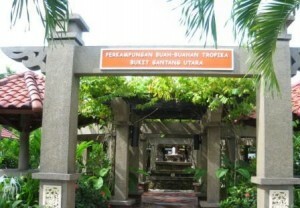 This stop has stalls selling lots of fresh fruits like guava and mango. There are also food center- but if you can wait, save your appetite for Penang for it is well worth the wait. 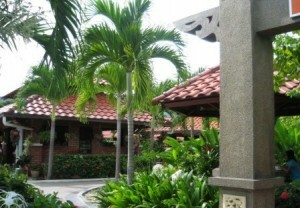 The rest area is inviting, well maintained and clean. The washrooms are very clean, the R&R (bigger stops) has dozens of rooms so you need not wait long even if there are many people. While below is a stop down south, on my way to Johor. When you are at the highway at 2am in the morning, you will not feel alone at the R&R since the stores selling food and drinks will be opened. But on most stretches of the highway, except when approaching tolls stops, and towns, there are no lamp posts. That’s why when I drive, I usually start in the morning. Else it gets hot in the afternoon. Along the way, you can view scenic mountains- even though not shown here. Especially as you are reaching Ipoh/ Taiping up northern Peninsular, the limestone caves, hills and view are simply wonderful. Too bad I am not able to post any picture here because I am the one usually behind the wheel.